Nicki Mollard BA (Philosophy), LLB (Hons), M.Bioethics was admitted to practice in 1997 and signed the Bar Roll in 2013. Nicki practises primarily in professional negligence and professional discipline (medicine, nursing and allied health), guardianship and coronial inquests. In addition to her practice at the Bar, Nicki is a Senior Fellow at Monash University Law School. She has taught at Monash since 2000, particularly in litigation and civil procedure, torts, evidence, criminal law and legal research. Nicki also teaches into the Medical Law program and Masters of Health Administration Program at Monash. Nicki has a Masters degree in Bioethics from the Centre for Human Bioethics, and published a first class thesis on the regulation of IVF in Victoria. Nicki is a reporter for the Victorian Reports, a regular blogger for the Victorian Bar (Bloggers@theBar) and has published a number of papers in the areas of medical negligence and forensic medicine. Nicki completed her articles and 3 years post admission at Corrs in a litigation based health law team. 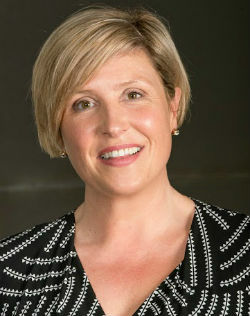 As a solicitor Nicki advised and acted for patients, health care networks, medical practitioners, nurses and allied health care professionals, medical defence funds, private health insurers in matters in the Supreme Court, the Magistrates' Court, VCAT and before the Medical Board of Victoria. Nicki volunteers at the Monash Oakleigh Legal Service supervising students providing practical legal advice in a community setting.